OA journals perform peer review and then make the approved contents freely available to the world. Their expenses consist of peer review, manuscript preparation, and server space. OA journals pay their bills very much the way broadcast television and radio stations do: those with an interest in disseminating the content pay the production costs upfront so that access can be free of charge for everyone with the right equipment. Sometimes this means that journals have a subsidy from the hosting university or professional society. Sometimes it means that journals charge a processing fee on accepted articles, to be paid by the author or the author’s sponsor (employer, funding agency). OA journals that charge processing fees usually waive them in cases of economic hardship. OA journals with institutional subsidies tend to charge no processing fees. OA journals can get by on lower subsidies or fees if they have income from other publications, advertising, priced add-ons, or auxiliary services. Some institutions and consortia arrange fee discounts. Some OA publishers waive the fee for all researchers affiliated with institutions that have purchased an annual membership. There’s a lot of room for creativity in finding ways to pay the costs of a peer-reviewed OA journal, and we’re far from having exhausted our cleverness and imagination. OERs exist within a wider ‘Open’ movement and context, explored below. Whilst the terms ‘Open content’ and ‘Open courseware’ are sometimes used to mean the wide range of resources to support learning and teaching, one is fairly broad and the other very specific. We have chosen to use the term Open Educational Resources (OER) as this relates to resources that are specifically licenced to be used and re-used in an educational context. Learning design – structured sequences of information and activities to promote learning. The following definitions and examples are taken from a paper prepared by Li Yuan at JISC CETIS in 2008 concerning the state of open educational resources internationally. This well-received paper can be accessed from the CETIS website. 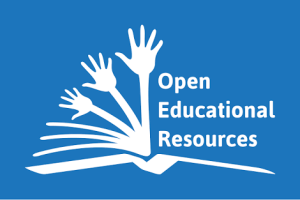 The term Open Educational Resources (OER) was first introduced at a conference hosted by UNESCO in 2000 and was promoted in the context of providing free access to educational resources on a global scale. As mentioned above, there is no authoritatively accredited definition for the term OER at present, with the OECD preferring, ‘digitised materials offered freely and openly for educators, students and self-learners to use and reuse for teaching, learning and research’ (OECD, 2007). Stephen Downes presents a useful overview of what Open Educational Resources are in Open Education: Projects and Potential. OER initiatives aspire to provide open access to high-quality education resources on a global scale. From large institution-based or institution-supported initiatives to numerous small-scale activities, the number of OER related programmes and projects has been growing quickly within the past few years. In China, materials from 750 courses have been made available by 222 university members of the China Open Resources for Education (CORE) consortium.(http://www.core.org.cn/en/). In Japan, resources from more than 400 courses have been made available by the19 member universities of the Japanese OCW Consortium. (http://www.jocw.jp/). In France, 800 educational resources from around 100 teaching units have been made available by the 11 member universities of the ParisTech OCW project. (http://graduateschool.paristech.org/). In Ireland, universities received government funding to build open access institutional repositories and to develop a federated harvesting and discovery service via a national portal. It is intended that this collaboration will be expanded to embrace all Irish research institutions. (http://www.irel-open.ie/). And in the UK, the Open University has released a range of its distance learning materials via the OpenLearn project (http://openlearn.open.ac.uk/), and over 80 UKOER projects have released many resources (via Jorum) which are used to support teaching in institutions and across a range of subject areas. For a more visual explanation of Open Educational Resources look at Stephen Downes’ presentation on Slideshare. The Twelfth International Conference on Open Repositories, OR2017, will be held on June 26th-30th, 2017 in Brisbane, Australia. The organisers are pleased to issue this call for contributions to the program, with submissions due by 20 November 2016. In 2017 the Open Repositories conference returns to Australia, where the Open Repositories journey started in Sydney 2006. Repositories have come a long way in the intervening years, having emerged as critical systems for managing, preserving and sharing intellectual, artistic and scientific output. As such, repositories have found a firm placing within scholarly processes and are becoming an integral vehicle to moving towards true Open Science. The OR community has established itself as an important contributor in this space, something we would like to emphasise in Brisbane by promoting the community’s ability to always stay at the forefront of development of both infrastructure and good practice. explore and highlight innovation in the wider ecosystem around repositories. We welcome proposals on these ideas, but also on other theoretical, practical, technical, organisational or administrative topics related to repositories. Submissions that demonstrate original and repository-related work outside of these themes will be considered, but preference will be given to submissions which address them. We are particularly interested in the following Themes (Please check the wesbite for detailed description on themes). Readers of this call for proposals who are familiar with the OR conference series will notice that it is issued somewhat earlier than in previous years. This is done to benefit international participants, aiming to provide earlier feedback on submissions in order to leave enough time in advance of the conference to make travel arrangements for a journey to Australia. Accepted proposals in all categories will be made available through the conference’s web site, and later they and associated materials will be made available in an open repository. Some conference sessions may be live streamed or recorded, then made publicly available. We expect that proposals for full presentations or panels will be two to four pages (see below for Proposal Templates). Successful submissions to the general track in past years have typically described work relevant to a wide audience and applicable beyond a single software system. Panels in the general track are expected to include at least some degree of diversity in viewpoints and personal background of the panelists. In general, sessions in this track will have three full presentations; panels may take an entire session or may be combined with a presentation. Relevant proposals unsuccessful in the general track may be considered for inclusion, as appropriate, as an Interest Group presentation, developer track presentation, poster or 24×7 presentation. The opportunity to engage with and learn more about the work of relevant communities of interest is a key element of Open Repositories. One to two page proposals are invited for presentations or panels that focus on the work of such communities, traditionally DSpace, EPrints, and Fedora, describing novel experiences or developments in the construction and use of repositories involving issues specific to these technical platforms. Further information about applications for additional Interest Groups and guidance on submissions will be forthcoming. 24×7 presentations are 7-minute presentations comprising no more than 24 slides. Proposals for 24×7 presentations should be one to two pages (see below for Proposal Templates). Similar to Pecha Kuchas or Lightning Talks, these 24×7 presentations will be grouped into blocks based on conference themes, with each block followed by a moderated discussion / question and answer session involving the audience and whole block of presenters. This format will provide conference goers with a fast-paced survey of like work across many institutions, and presenters the chance to disseminate their work in more depth and context than a traditional poster. We invite one-page proposals for posters that showcase current work (see below for Proposal Templates). OR2017 will feature digital rather than physical posters. Posters will be on display throughout the conference. Instructions for preparing the digital posters will be distributed to authors of accepted poster proposals prior to the conference. More information regarding digital posters can be found here. Each year a significant proportion of the delegates at Open Repositories are software developers who work on repository software or related services. OR2017 will feature a Developer Track that will provide a focus for showcasing work and exchanging ideas. Building on the success of the Developer Track at OR2015 and OR2016, where we encouraged live hacking and audience participation, we invite members of the technical community to share the features, systems, tools and best practices that are important to you. Presentations can be as informal as you like, but once again we encourage live demonstrations, tours of code repositories, examples of cool features and the unique viewpoints that so many members of our community possess. Submissions should take the form of a title and a brief outline of what will be shared with the community. Developers are also encouraged to contribute to the other tracks. OR2017 will also again include the popular Ideas Challenge. Taking part in this competition provides an opportunity to take an active role in repository innovation, in collaboration with your peers and in pursuit of prizes. The Ideas Challenge is open to all conference attendees – developers, non-developers, and everyone in between. Further details and guidance on the Ideas Challenge will be forthcoming. The conference system is now open for submissions. PDF format is preferred. TO ACCESS THE SYSTEM PLEASE CLICK HERE. All submissions will be peer reviewed and evaluated according to the criteria outlined in the call for proposals, including quality of content, significance, originality, and thematic fit. The OR2017 Code of Conduct and Anti-Harrassment Policy are available at http://or2017.net/code-of-conduct/. OR2017 will again run a Scholarship Programme which will enable us to provide support for a small number of full registered places (including the poster reception and conference dinner) for the conference in Brisbane. The programme is open to librarians, repository managers, developers and researchers in digital libraries and related fields. Applicants submitting a proposal for the conference will be given priority consideration for funding. Please note that the programme does not cover costs such as accommodation, travel and subsistence. It is anticipated that the applicant’s home institution will provide financial support to supplement the OR Scholarship Award. Full details and an application form will shortly be available on the conference website. Please click here to subscribe to our mailing list for further updates. http://or2017.net/call-for-proposals/ and also keep us posted your updates. The Open Educational Resources are now gaining momentum and so are the Open Agricultural Educational Resources (OAERs). In India, the Indian Council of Agricultural Research (ICAR) took initiative in developing e-courses for undergraduate agriculture students in collaboration with State Agricultural Universities (SAUs). When the Massive Open Online Courses (MOOCs) are becoming popular among the students of other disciplines and digitally born materials are increasing in numbers, the authors of this paper attempted to explore the present status of the OAERs in India and what is the way forward for it in the National Agricultural Research System (NARS). When searched on the Internet, it was found that the Indian Agricultural Statistics Research Institute (IASRI) and National Academy of Agricultural Research Management (NAARM), constitute establishments of the ICAR are helping to build e-courses on to Moodle platform and are involved in the capacity development among the Agriculture teachers. The other institutions like The International Crops Research Institute for the Semi-Arid Tropics (ICRISAT), M. S. Swaminathan Research Foundation (MSSRF), Indian Institute of Technology (IIT) Kanpur, IIT Bombay, Indian Institute of Management (IIM) Calcutta, Common Wealth of Learning (COL) are also now developing Agriculture MOOCs. These institutions in collaboration with SAUs are developing courses which are like classroom teaching involving audio, visuals and also live interactions and finally assessment and certification. When the usage of digitally born teaching aids is increasing by the teaching faculty in the SAUs, and there is a growing tendency among the faculties to share the materials over the Internet as evident from the posts on social media, it is possible for the easy share and exchange of the materials by depositing the same in repositories of OAERs. This would help in the development of a common portal which can harvest the materials deposited and catalogue them for easy access, use, re-use for learning and teaching purposes. The authors have also looked at the licensing of these MOOCs or OAERs. While the National Repository of Open Educational Resources (NROER), ePG Pathshala, e-UG Pathshala are being developed by the Ministry of Human Resources Development are being shared with Creative Commons Attribution – ShareAlike. The Agriculture MOOCs does not state any machine readable licensing mechanism which will make the crawlers or bots to search and harvest the materials for use and re-use without technical and legal restrictions. They, however state that the content is free to use for educational and non-commercial purposes. Therefore, the authors propose that the way forward is to establish repositories by the publicly funded institutions involved in teaching for depositing and sharing the content developed by their respective faculty. And the establishment of a portal called ‘Agriculture Commons’ which can harvest the contents from the established repositories with a suitable Creative Commons license. Cite this article as: Sabita Mondal, "Open Agricultural Educational Resources in India: Present Status and Way Forward," in Open Access India, December 24, 2015, http://openaccessindia.org/744-2/, accessed on April 21, 2019.